How to Marry a Millionaire is a 1953 American romantic comedy film directed by Jean Negulesco and written and produced by Nunnally Johnson. 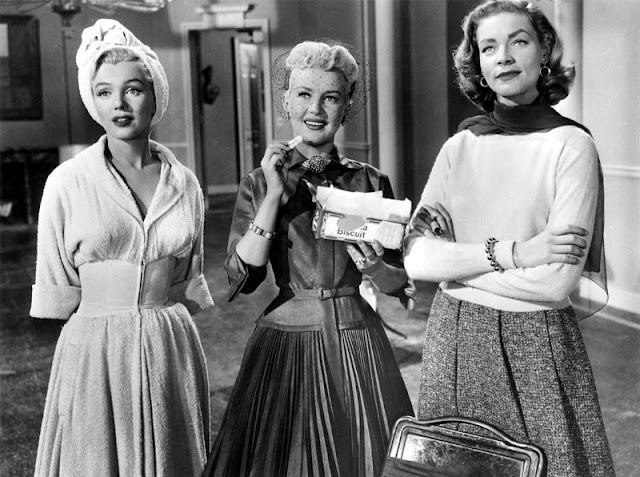 The screenplay was based on the plays The Greeks Had a Word for It by Zoë Akins and Loco by Dale Eunson and Katherine Albert. 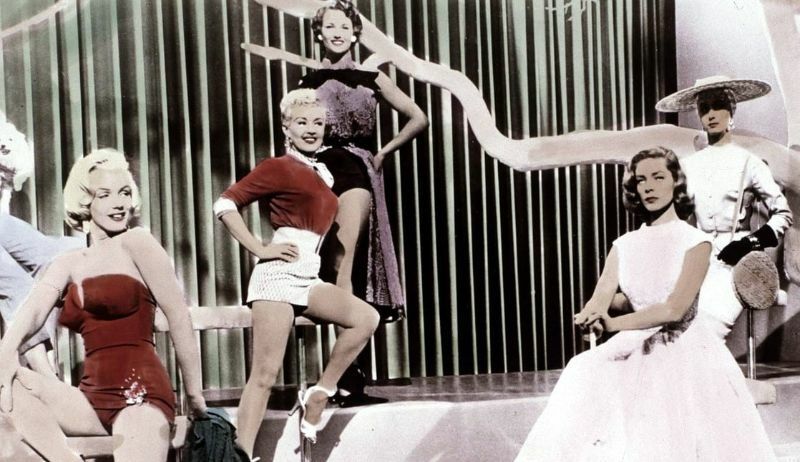 The film stars Betty Grable, Marilyn Monroe, and Lauren Bacall as three gold diggers, along with William Powell, David Wayne, Rory Calhoun, and Cameron Mitchell. 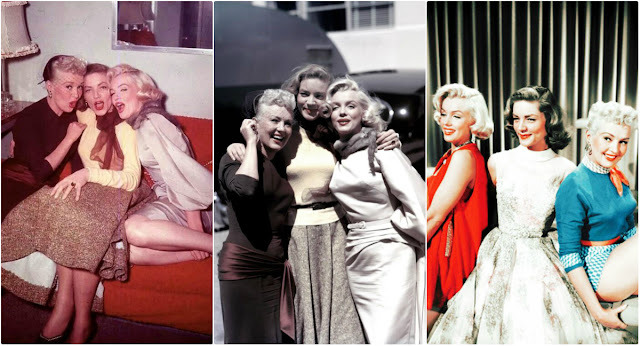 Although Grable received top billing in the screen credits, Monroe's name was listed first in all advertising, including the trailer. 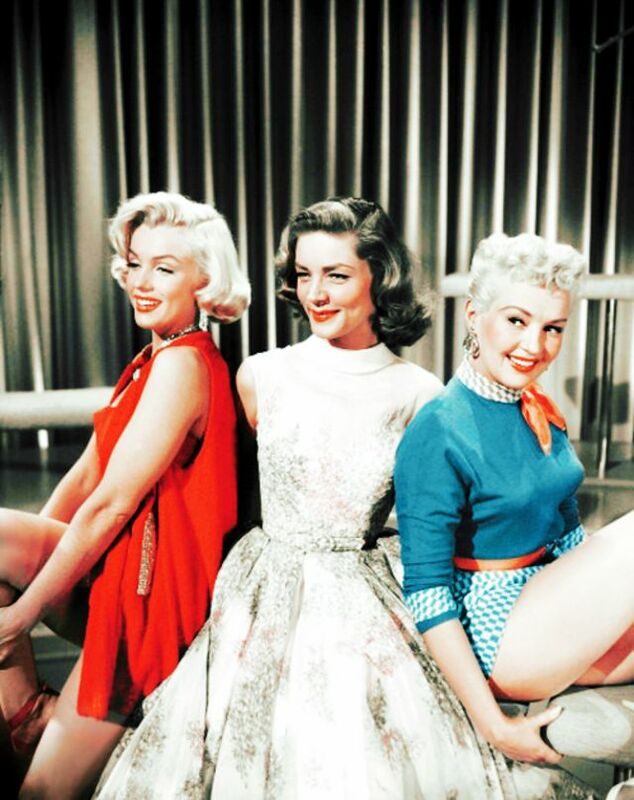 Made by 20th Century Fox, How to Marry a Millionaire was the first film ever to be filmed in the new CinemaScope wide-screen process, although it was the second CinemaScope film released by Fox after the biblical epic film The Robe (also 1953). 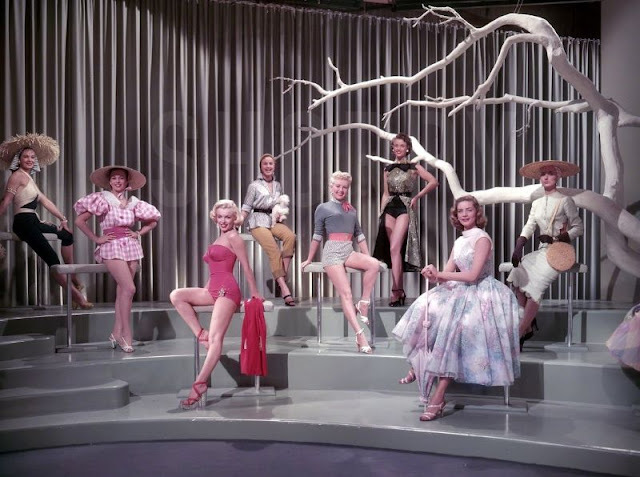 How to Marry a Millionaire was also the first 1950s color and CinemaScope film ever to be shown on prime-time network television, though panned-and-scanned, when it was presented as the first film on NBC Saturday Night at the Movies on September 23, 1961. 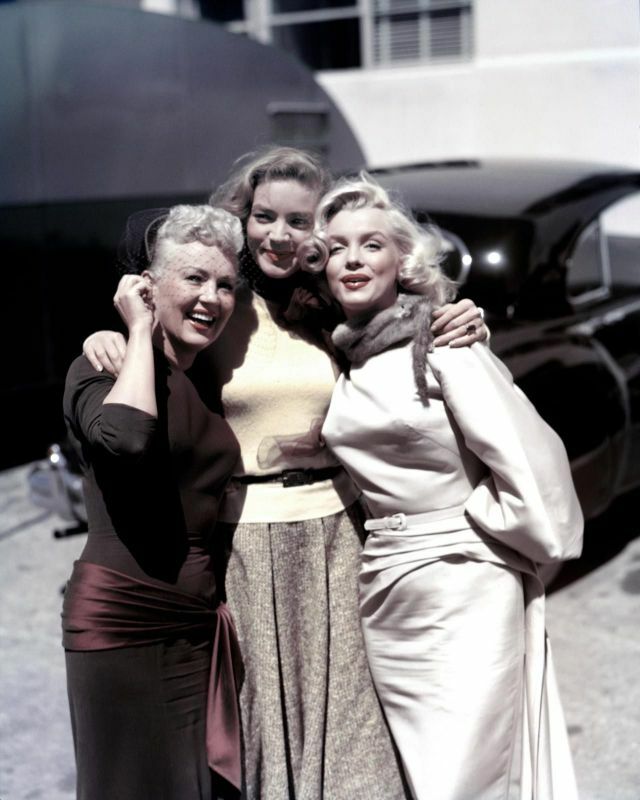 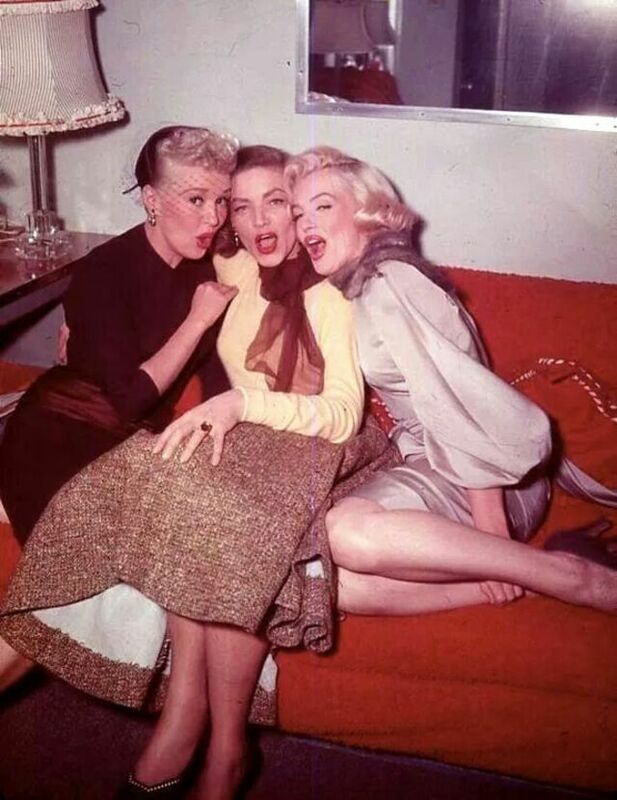 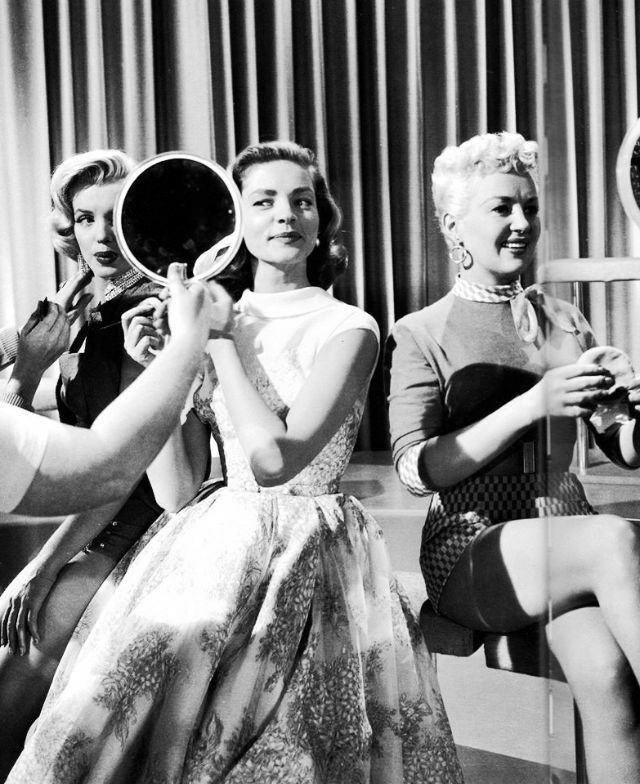 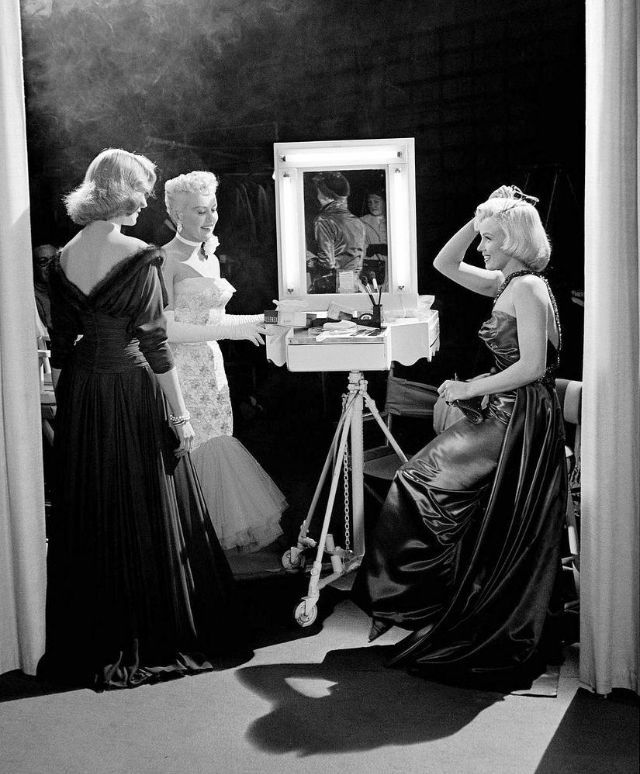 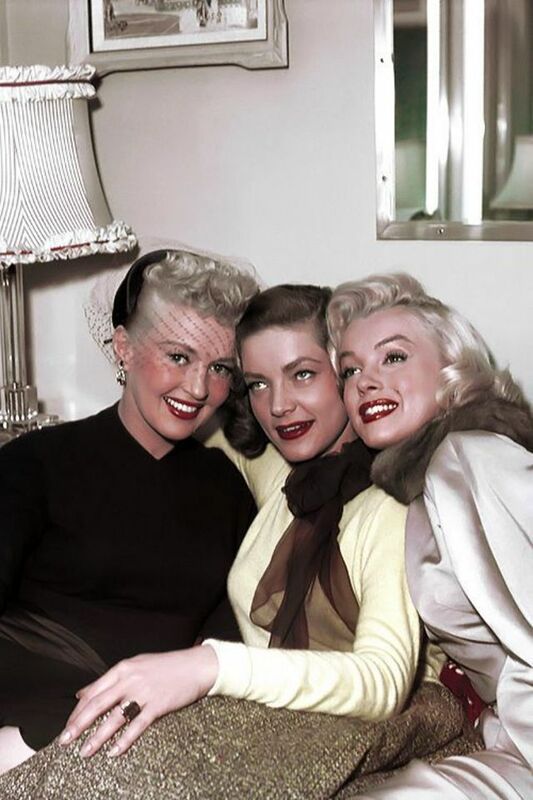 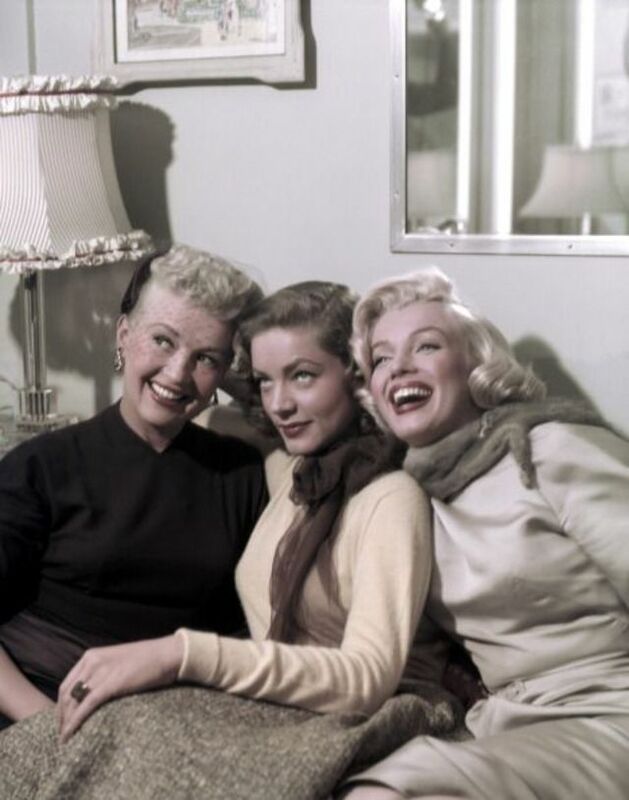 These gorgeous photos captured portraits of classic beauties Betty Grable, Lauren Bacall and Marilyn Monroe together while filming How to Marry a Millionaire in 1953.